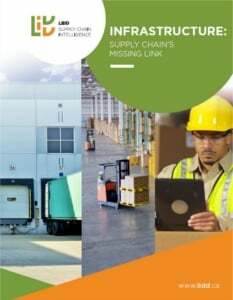 In logistics, few things are more fundamental than the capacity of a distribution center. At the same time, few things are subject to more disagreement and fuzzy thinking. In any organization, different stakeholders will answer the question, “how full is the building?” differently. Buyers look for holes to plug with inventory and new listings. DC managers look for space to execute efficient operations. Owners look to maximize their return on the distribution asset to which they committed through a lease or invested capital. These stakeholders need a common approach to understanding distribution center capacity in order to strike the right balance between their often competing needs. The capacity of a distribution center has three dimensions: throughput, pick facings and storage. A distribution center reaches full capacity in each dimension independently – though limitations in one often affect the others. Throughput Capacity. The handling volume of the distribution center. How many orders, lines, cases and units can a DC receive or ship over a given period of time (a day, a week, a month). Typically, throughput capacity is determined by bottlenecks anywhere in the distribution process created by space and infrastructure limitations resulting in congestion and reduced labor productivity. These bottlenecks first appear during peak receiving and/or shipping periods and then, as volumes increase, become chronic constraints. Pick Facings Capacity. The number of pick locations that can be provided to support an operation’s active SKU base. The number of pick facings is limited by the materials handling infrastructure that supports the pick line. A well-engineered pick line provides locations sized to the individual SKU’s requirements, balancing excessive travel during picking against frequent replenishments to keep the location stocked. When the number of active SKUs increases, the size of locations on the pick line must be reduced. As the size of locations gets smaller, replenishment tasks and picker congestion increase, leading to lower operating productivity. Storage Capacity. The amount of physical inventory that can be stored within the distribution center. This is a function of the total number of storage locations within the distribution center and the size of these locations. It is important to distinguish between the gross storage capacity and the operating capacity of a distribution center. The gross capacity represents the capacity if every location was full – a theoretical capacity that cannot be achieved in reality. Operating capacity is the realistic capacity of the facility that accounts for operating constraints, such as the need to putaway receipts into open locations, and physical constraints, such as the inability for product to perfectly fill any given location. Understanding and measuring the capacity of a distribution center in terms of throughput, pick facings and storage is necessary to determining what steps should be taken to extend the capacity of an existing distribution center or to increase that capacity through a facility expansion. For each, there are process and inventory management strategies that can be deployed to boost capacity. Beyond that, facility re-engineering can yield increases to capacity before resorting to a facility expansion. In the coming weeks, LIDD will address each of these capacity dimensions, throughput, pick facings and storage, separately and provide operators with the tools necessary to maximize capacity before investing capital to expand the facility.